We are delighted to announce the addition of AGA eR3 90cm as part of the AGA 3 Series family. 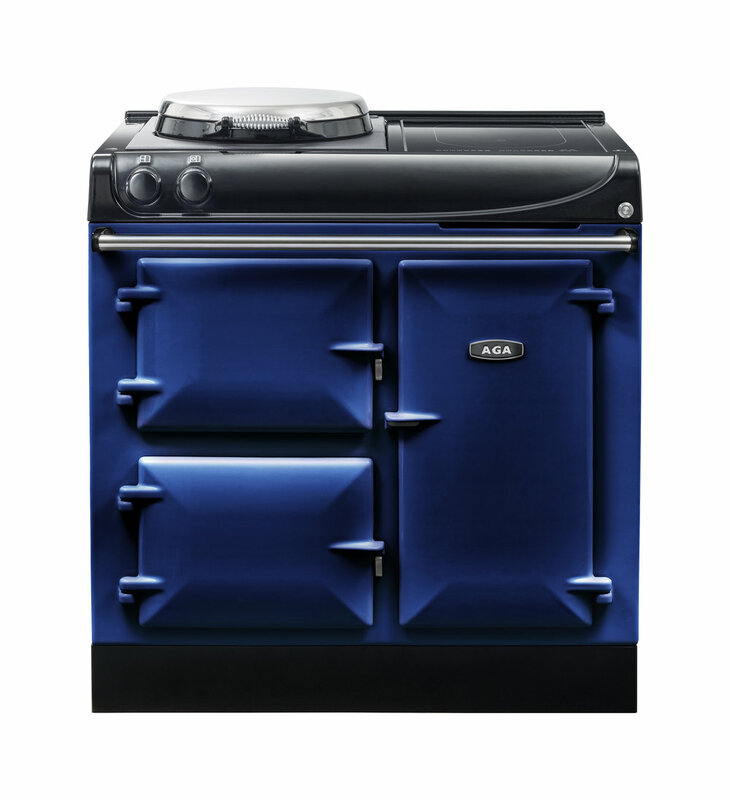 This cooker is ideally suited to customers with limited space but still keeping AGA’s defining aesthetics to ensure the continuity of the AGA Cooker’s unique style. 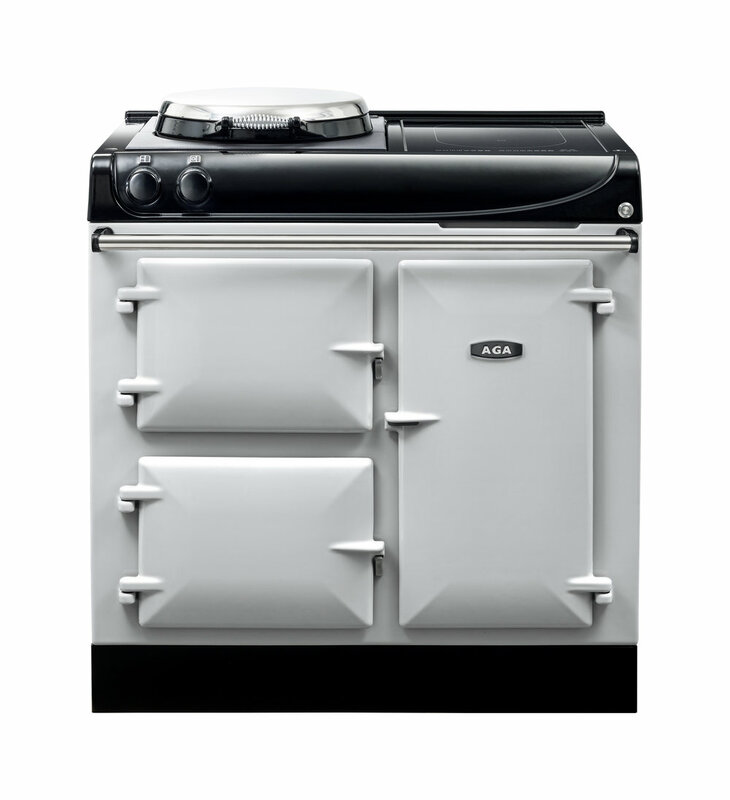 The new AGA eR3 90cm offers everyday control and boasts a host of useful features, including a patented hotplate, fast heat-up times, a defrost function, an optional timer and higher temperatures and better performance than many other range cookers on the market. Great attention has been paid to even the smallest of details, such as the stylish, branded handrail, ensuring this is a cooker that is built for life. As with the AGA 60 and AGA eR3-100, this cooker has two cast-iron ovens located on the left hand side and controlled by the same rotary control. Top left: Cast iron oven which can be set to roasting or baking mode. Option of a programmer/timer device to control the top oven. Bottom left: Cast iron simmering oven. in 10-12 minutes. Magnetic door catch for a smooth closure. Large plate rack which can hold 12 large dinner plates (2 rows of 6) for warming prior to serving. Shelf for holding half size AGA roasting tins and baking trays, when turned around. Space for keeping warm pans/casseroles, saucepots etc. Built-in storage space for cookware when not required as a warming oven. The ‘P’ function provides maximum power instantly. Power Boost allows additional power to be made available for each of the cooking zones. This is useful to bring a large pan of water to the boil quickly. The Power Boost function operates for a maximum of 10 minutes on each zone, after which the power is automatically reduced to setting 9. The NEW Induction burners on the AGA system will recognise when a pan is placed on any of the cooking zones and will switch off automatically once the pan is removed from the surface. The sensor at each zone will recognise when the temperature of the pan rises rapidly (usually associated with a pan ‘boiling dry’) it will automatically reduce the power maintain a safer level of temperature until the pan is removed. The AGA induction hotplate features a large two-zone induction hob complete with bridging feature, suitable for two pans or ideal for use with a griddle plate, fish kettle or other large cookware. 1. 44°c – Defrosting, melting butter or chocolate. 2. 70°c – Keep warm. Once you’ve prepared food. 3. 94°c – The perfect simmer! Warming level for simmering. The AGA Induction has a Child Lock that can be activated when the hob is not in use.